For many years, Connecting Activities has supported school and community initiatives to raise graduation rates, playing a positive role in supporting youth in the path from high school to college and careers. The career development experiences that Connecting Activities provides can connect youth with formal and informal mentoring, reinforce academic skills, provide motivation and help youth to envision next steps after high school. Connecting Activities programs seek to reach out to make sure that all students have a chance to participate in work-based learning experiences, particuarly students who might be most in need of this support. Since the beginning of the Connecting Activities initiative, Connecting Activities has been part of statewide efforts to raise graduation rates and to help students from at-risk or underrepresented populations gain access to college and careers. 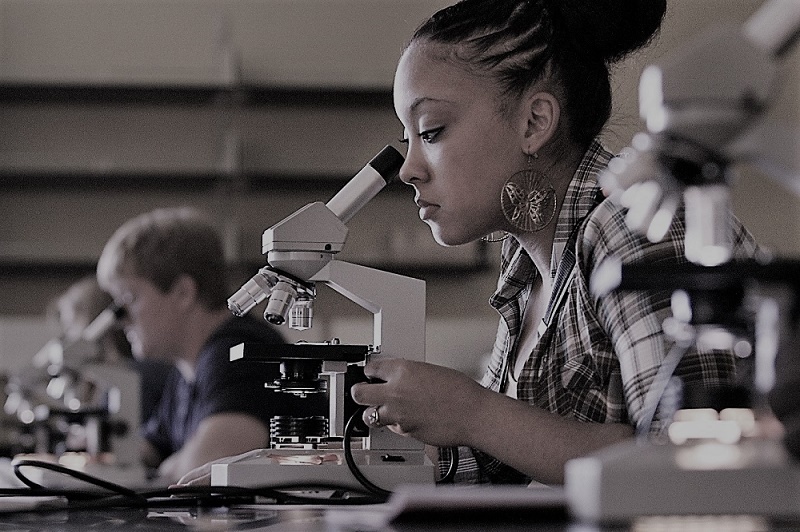 Beginning in FY2003, Connecting Activities provided academic support programs linked with work and learning opportunities, and began outreach to students based on MCAS status, as part of support for raising graduation rates. The class of 2003 was the first cohort required to pass MCAS before graduating, and in the years when this requirement was new, our "Work and Learning Academic Support" and "Classroom in the Workplace" programs were among the most effective models for helping students to re-take and pass MCAS and be able to graduate. In FY2006, Connecting Activities was part of a statewide Graduation Rate Summit, and was one of the seven initiatives identified as effective strategies for raising graduation rates. In FY2012 we introduced AGROWE program elements to give Connecting Activities programs broad flexibility in targeting students who may be at risk of dropping out. In FY2019 we discontinue the AGROWE program elements and, instead will look at broad strategies for outreach and for ensuring equity and access. [1.] Strategies to make Connecting Activities services available through schools, pathways and programs that serve at risk students. Many Connecting Activities programs naturally reach at-risk students by working with alternative pathways, dropout recovery programs or other specific programs that serve at-risk student populations. Programs should pay attention to student demographics within the district and region, to be sure to provide services in districts, schools and programs that serve targeted groups, including students with disabilities, English language learners, students of color and low income students, as well as any student groups specifically targeted as at-risk. [2.] Strategies to collaborate with school partners in outreach to all students who would benefit from Connecting Activities participation. Many Connecting Activities programs use formal and informal collaboration with school partners to reach out to students who may be at-risk students and who would benefit from participating in Connecting Activities. Outreach may be based on personal referrals from school partners, or based on referrals via dropout prevention programs such as a dropout recovery program, an alternative pathway program or an Early Warning Indicator System (EWIS). [3.] Strategies to make sure that students are not unfairly/unintentionally left out of internship programs or other career development activities because of program policies, marketing/outreach or other factors. Policies/Prerequisites: Many internship programs have pre-requisites that sometimes include academic, attendance or discipline-related requirements. Any pre-requisites should be carefully considered, with room for revision or for exceptions as appropriate. For example, many schools are currently re-evaluating their disciplinary policies to look at issues of equity and possible bias. For example, if students with disabilities or students of color are more likely to have absences classified as ‘unexcused absences’ or to have more-severe disciplinary consequences than other students for the same type of incidents, then these students will be put at a disadvantage. Even without patterns of bias, there may be students who have been put at a disadvantage because of a history of academic or disciplinary issues, but who could benefit from positive experiences, especially experiences that open up career options and show connections between classrooms and careers. Marketing/Outreach: Another part of equity and access is simply an effective and inclusive marketing and outreach effort. Opportunities for Connecting Activities participation should be well-marketed, visible and inviting to all students. [4.] Strategies to make provide access for all students to explore high-skill, high-growth and high-wage career paths. Connecting Activities programming helps students to gain awareness of career fields that they might not otherwise know about, and to have opportunities for in-depth career exploration and career immersion based on personal career interests and local labor market opportunities. Connecting Activities infuses each job and internship with the opportunity to develop and practice a blend of employabiliy skills and more specific workplace and career specific skills and to learn about career options. Whether the student is working in a local school, park or nonprofit agency; in a traditional teen job in retail and food service; or in a company in a targetted industry such as finance, the arts, healthcare or advanced manufacturing, work experiences should be designed to help students engage in high-level work, using project management skills, leadership, technology, critical and creative thinking and more. It is important to make sure that all student populations have access to the same range of high-quality experiences and high-level skill development and it is important that program coordinators are aware of any barriers to equitable participation. [5.] Strategies to make sure that marketing, outreach and programming is respectful and welcoming. Connecting Activities initiative has a strong history of reaching out to a broad range of students, including students who may be at-risk, with marketing, messaging and outreach that is respectful and welcoming. While we are conscientious of reaching out to students who may be at-risk we are also conscientous to avoid labelling students as 'at-risk' or any other messaging that might negatively "label" students. Over the years, we have had workshops that examined the ideas of positive youth develeopment, Asset-Based Language for marketing and messaging, 'People First' language, data privacy and other communication and outreach strategies that are respectful and welcoming. Background Article: Raising Graduation Rates in Massachusetts. In 2006, when Massachusetts introduced new graduation rate data, the statewide "P21" initiative sponsored a summit on raising graduation rates. A report of the P21 initiative prepared for this summit: "Raising Graduation Rates in Massachusetts: The Power of Community Partnerships" discusses a variety of strategies and projects that have a positive impact on graduation rates and provides an overview of graduation rate data collection methods.